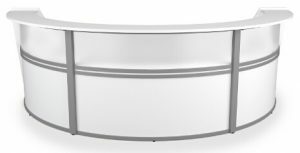 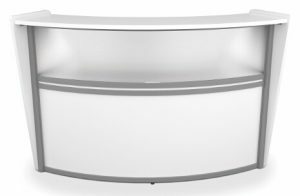 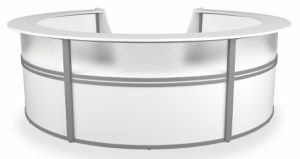 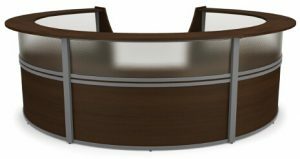 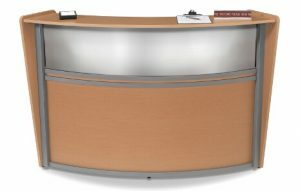 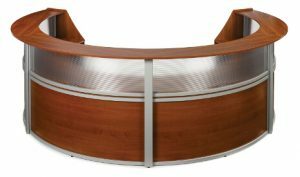 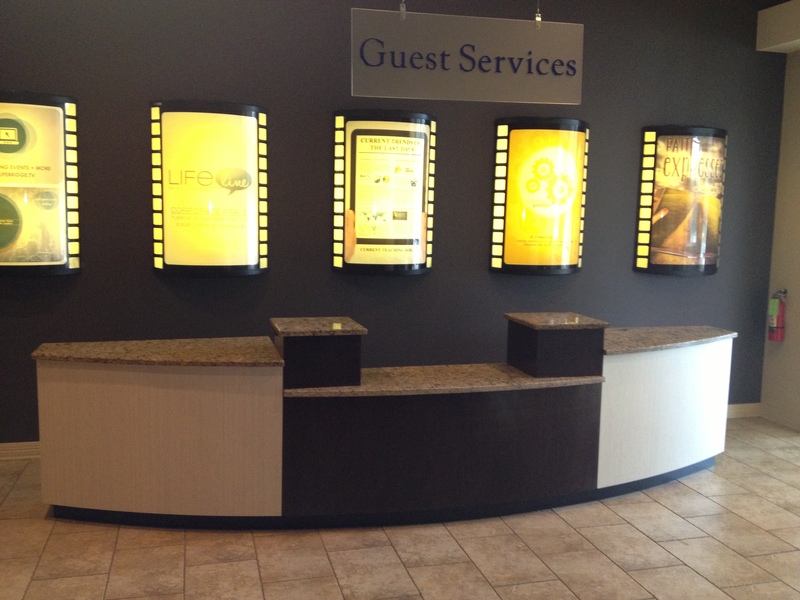 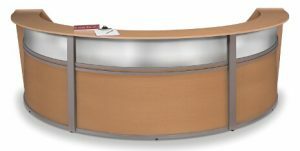 This high-design church welcome center is a tri-level information/reception desk with a gracefully curved exterior, lower-level center counter, two tall display towers, and standing-level countertop bars at each end. 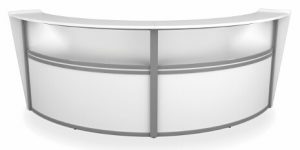 Our Twin Tower system provides generous storage space with a multitude of deep cabinets and drawers and open-ended cubby holes under each of the towers. 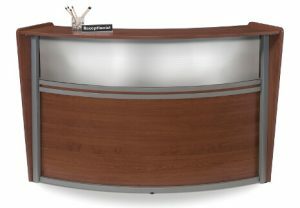 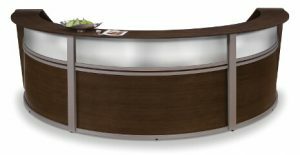 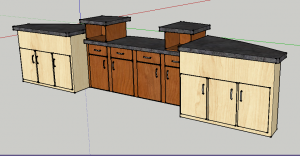 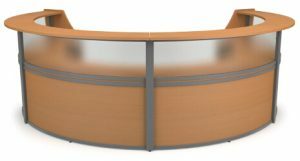 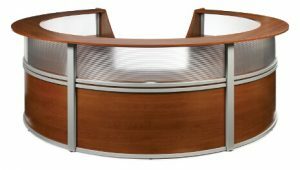 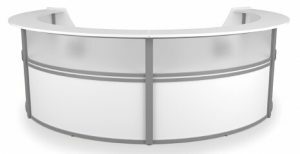 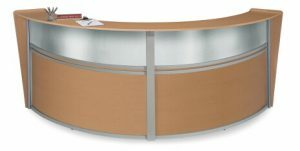 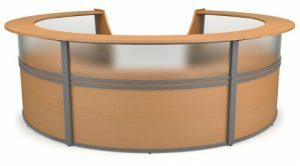 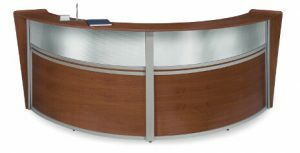 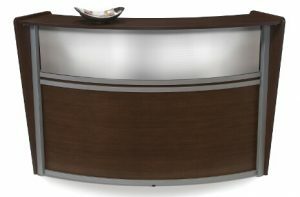 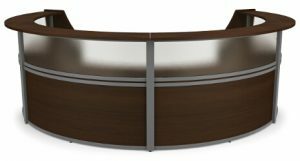 The two-tone body laminate can be specialized to match almost any interior color scheme at no additional cost, and the desk can be coupled with another matching unit to create a multidimensional information center. 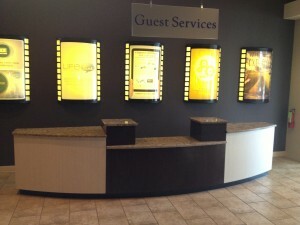 See additional information to learn about pricing and upgrades. 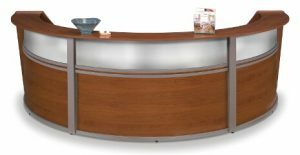 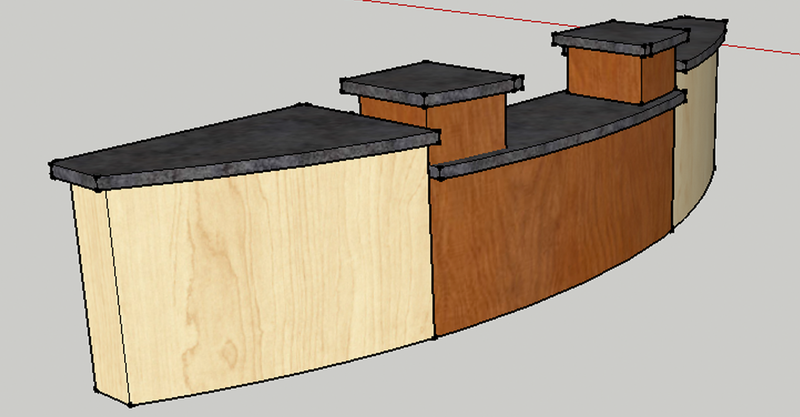 Welcome center is $8500 and includes delivery to anywhere in the contiguous United States.